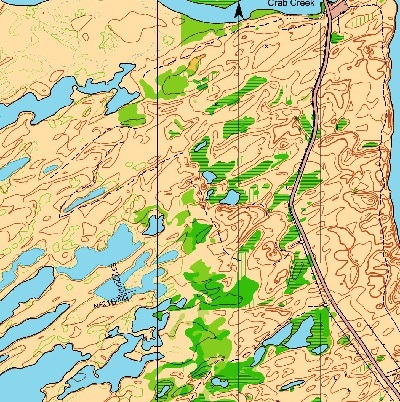 First used for the 2010 US Orienteering Championships, this 1:10,000-scale map has a 2.5-meter contour interval, reflecting the subtle nature of the area’s topography. Subtle contours, open terrain, and few trails provide ample opportunity for parallel errors. Marshes and other water features are abundant at Moses Lake as well, making navigation challenging. Since this location is made up of sand dunes, it can be physically challenging to traverse open areas.